You might have been looking for the answer to the question, what is a liter bike? Well, we get to tell you all about it in this article. Motorcycles are just like cars, you can have the simple cars, which you could use for commuting to work and still have the supercars that will kill you if you are not careful. Well, for the motorcycles, there is the liter bike. This is a nickname given to the motorcycles that have a 1000cc engine. To make it easy for you to understand, these are the type of bikes you normally see being used for racing. These superbikes will come with a bigger engine, meaning there is more power coming out too. Most of the liter bikes would be sporty models, each having 1000cc or even more. Such motorcycles would be quite fast, and still no modifications have been done to them. They always urge you to go hard on the throttle to just keep it going. It is the reason you would find them used in competitions such as the Grand Prix and Superbike racing. They often have so much power that they can easily challenge the fast sports cars too. Is It Great For A Beginner? If you are a beginner, the chances are that you have battled with this question already. Most of the time, you would be advised not to go near a liter bike when you are just starting to ride motorcycles. Because of newbies ride a liter bike often end up being hurt or killed. When riding this type of bikes, you will always be wrestling to keep the bike in a straight line. You will not be able to learn riding the motorcycle with ease. No one wants to end up with injuries after riding for a short time. It is not just for the beginners; the experts too will tell you to choose the smaller cc bikes. They have already experienced the terror of riding one of the liter bikes and to them it was not worth it. That being said, there is no doubt that you can always enjoy yourself on a liter bike at some point. It is the reason they are made in the first place. You will have to be more cautious just to make sure you get to enjoy the riding part and still survive the top speeds. The first thing you have to do before riding a liter bike is taking enough classes. This time you have to be coached by an expert who understands the dynamics of using a liter bike. Once you get to learn about controlling the bike, you should be good to go. It might seem as something many people would tell you, but it is something important. You always have to make sure that you are not exposed when riding the liter bike. Some might think it is cool to ride bare chest, but that should never the case for you. 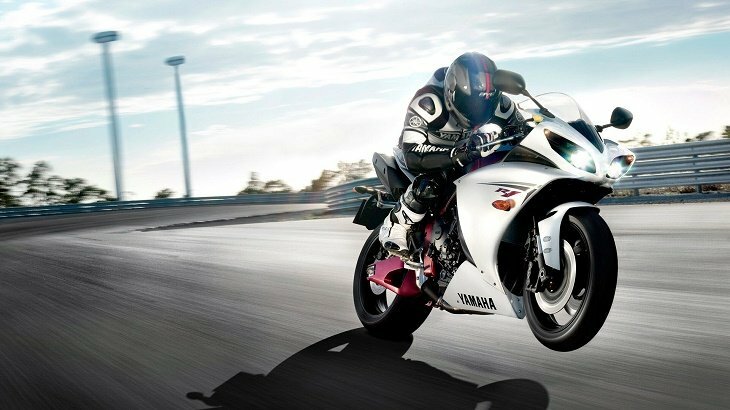 Yes, you might have a super-fast bike, but that does not mean that you end up killing yourself while speeding. The best thing to do is stay within the speed limits for even 6 months getting to know more about your bike first. If you have to enjoy the full speed of the bike, simply go to a track or isolated places. The liter bike for a beginner can be a far-fetched, but there is still hope for you to enjoy the fast speeds today. The alternative to riding the liter bike would be opting for the crotch rocket. This type of motorcycle would offer you more speeds, and it is still safer for you. Check out how to ride a crotch rocket below to started. For those who do not know what a crotch rocket means; it is a sports bike often characterized by high-performance and high-speed. To make them go at a faster speed, they are always made to have an aerodynamic shape that will make the rider always leaning forward for a better sitting position and balance. Starting a crotch rocket will be easy with the new models. It is not like in the past where you had to kick-start the engine. You simply have to press a switch and it is all good to go. If the bike has a kill switch, make sure it is in the “ON” position first before starting the bike, or else it will not fire up. By now, you already understand what is a liter bike. It is crucial that you always protect yourself when riding such type of a bike. Being careful does not mean you are not the best rider, it shows that you do not want to get hurt. Did you like this article? Please share your comments below and let us know what you think about the article.